Yeah, I have this.... I missed out on the original. This came out so I bought it still wanting to own owt camarguey. It's the Summer Mix for me too. Vocal is nice, scuttles along nicely with good use of the organ bit. Remember the galaxy mix being played a lot at raves in Sydney in 93, awesome tune better than the original and other mixes IMO. Am I the only one that prefers the Galaxy Mix over the other two? on the summer mix one person said it is cj's sister...one said his wife.....which one is it? hope its not one in the same lol...just kidding.....but im curious if it is his sister or wife though. Agree Camargue is great tune - the Galaxy Remix takes it to the next level, so many melodies and layers going on, has the vocals as well, check out the video links. Uplifting every step of the way. This version of "Spoof" on the B-side is totally wicked. It's another version as the version on the album "Electronic Highway". There is a funky bassline used instead of the tech effect on the album release. 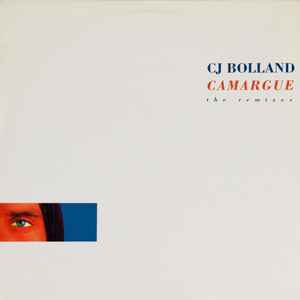 The radio version of "Camargue" is a dreamy version with the beautiful voices of CJ's sister. A "must have" this release and a huge collectors item ! Camargue - an almost perfect track , even by today's standards. These mixes never really caught on though ... the original was great and the only remix to actually get off the ground was the "summer mix". When the "summer mix" drops in with a booming bass and wife Sanshia Bolland on Vocals singing "Always looking for sunshine baby !! ", you can expect a spine tingling sensations.